The security of schools, colleges and universities is an absolute priority: parents expect children to be safe whilst they’re at school; universities are home to expensive equipment, and reducing truancy can benefit hugely from entrances and exits being monitored. With the right security systems in place, schools, colleges and universities can become a safer environment for students and staff, whilst also helping to tackle pressing issues such as truancy and theft. But what can be done to improve school security? Invest in remote security monitoring from Farsight Security Services. What is remote monitoring and how can it improve school security? Remote monitoring services make your security systems as efficient and effective as possible. CCTV cameras can be monitored by professional security staff either 24/7, out of school hours, during holidays or according to a schedule that suits you. 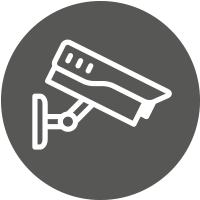 Watch our video on remote CCTV monitoring to understand how it works. CCTV systems detect any unusual activity within the school’s boundaries and send an alarm to the remote monitoring station – Farsight. From there, the security operators react as required, viewing footage to identify the cause of the alarm and calling the relevant parties, including key holders and any required emergency services. Alternatively, access control systems can be monitored by the same professionals, who request visual or verbal verification before permitting or denying access to the school site. Access control systems can be extremely effective in ensuring only verified individuals enter the school site, especially outside of normal school, university or college hours and during holidays. Why choose Farsight Security Services? The security of educational premises should never be compromised. Here at Farsight we have a wide range of experience monitoring the security systems of schools, colleges and universities across the UK. At Farsight, we answer alarms quickly, investigate the cause of alarms to ensure nothing is missed, issue audio warnings to warn intruders away and monitor whether your security systems are still connected and working. All of our operators are trained to the highest standards, so you can feel reassured that experts are looking after your site’s security. Get in touch with us today to find out more about our CCTV and security packages. Call us on 0845 371 0101 or send us an email. Get in touch with us today to find out how Farsight Security Services could improve school, college or university security. Phone us on 0845 371 0101 or send us an email.